Last Day to use your $20 Rue La La Credit! Have you used your $20 Rue La La credit? I almost forgot that today's the last day to use it! If you're still sitting on the $20, head over to Rue La La to check out what's available! The Linen Closet: Clavin Klein event has some reasonably priced bedding and towels. 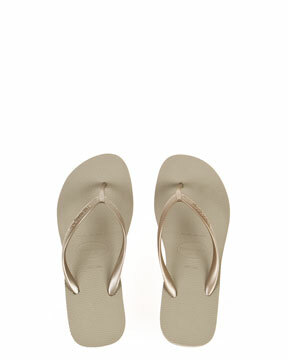 The Resort Report: Calvin Klein event has swim separates as low as $9.90! I found this brown cover-up for only $19.90, so FREE after the credit, just pay shipping! And, The Resort Report: Diesel also has swim separates from $9.90! 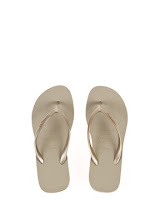 I found these wedge Flip Flops in the Resort Report: Havianas event for only $15.90, so just a few dollars shipped after the $20 credit! Let us know if you find any other bargains! Snowed in with little ones? Yeah. I understand. My daughter asked this morning to listen to The Mitten, which was the Barnes and Noble FREE Online Storytime book last month. It reminded me that today is the last day to watch The Polar Express over at Barnes and Noble Online Storytime! There will be a new book next month, but if you need something fun today, enjoy! 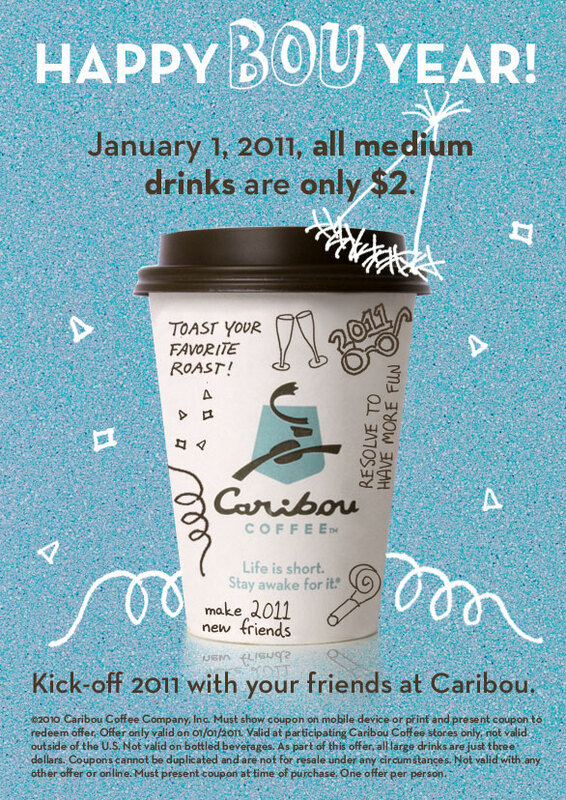 $2 Medium Drinks at Caribou 1/1/11! 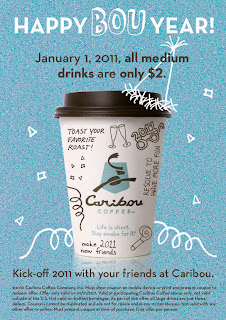 To celebrate a Happy 'Bou Year, Caribou Coffee is offering $2 Medium Drinks (and $3 Large Drinks) on 1/1/11 with this coupon! If you are online on your mobile phone, just show the coupon on your mobile device, no need to print! If you haven't taken advantage of this yet, today is the LAST day of this offer! Head over to Eversave and sign up to receive deal alert emails. Just for signing up, Eversave will give you a $5 credit to use the first time you make a purchase! FREE Plackers Sample for the New Year! Hurry over here to request a FREE 36 ct bag of Plackers Micro Mint Flossers! Not only do I love using them on my own teeth, but my little girl actually enjoys flossing with these as well. I love them! Hurry, I'm guessing these won't last long! New Restaurant.com 80% off Code + Bonuses! I know going out is the last thing on many of our minds tonight, or at least it's the last thing on my mind. I'd rather stay right here under my cozy blanket and watch the snow fly. But, one day this blizzard shall pass, right? And that day, maybe I'll want a Restaurant.com Gift Certificate. There is a new 80% off code available through 12/31 for Restaurant.com that makes $25 Restaurant Gift Certificates as low as $2! Head over to Restaurant.com to search for restaurants in your area (or in the area of someone you are buying a gift for). But, this deal is sweeter than most. Right now, if you purchase 5 $25 Restaurant Certificates together, Restaurant.com will email you another $25 eGift code within 24 hours! Use this $25 Gift Code to purchase more Restaurant Certificates or gift it to a friend. Don't forget to use promo codes to stretch your $25 even further! You can earn up to FIVE $25 eGift cards! The 80% code and Bonus offer expires tomorrow, 12/31, so hurry if you're interested! Read more here about how Restaurant.com works. Coupons to Use by 12/31! $1 off any Fisher Product from the 6/20 SS - Sunflower Seeds are only $1.23 at SunMart, so $0.23 each after coupon! $1 off Pampers Kandoo Wipes from the 4/4 and 9/26 PG - 40 ct Wipes packages are $1.65 at Target and Walmart, making them only $0.65 after coupon! $0.55 Creamette Quick Cook Pasta from the 10/3 SS - Use at SunMart this week where Creamette Pastas are $1.25, only $0.25 after coupon (as long as Quick Cook is included). 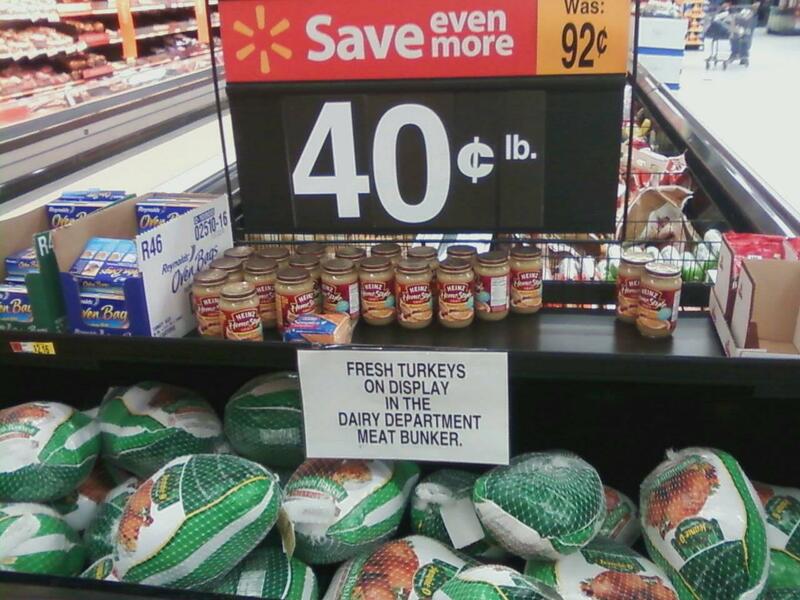 Or use at Cash Wise where the regular price is $1.35, or $0.35 after coupon! $1 off any Tide Detergent (doesn't exclude trial size) from the 11/28 PG insert - 1 load pouches found in the travel size are $0.97 at Target and Walmart, so FREE after coupon! $1 Franks Hot Sauce coupon from the 10/3 SS - use at SunMart where the small bottle is $1.23, only $0.23 after the coupon! $1 Bagel Bites coupon from the 6/13 SS - use at SunMart Thursday or Friday where Bagel Bites will only be $1.88, or $0.88 after coupon! $0.50 Thai Kitchen coupon from the 10/10 RP - use at Cash Wise, SunMart or Hornbacher's where the rice noodles are around $1, so close to FREE after doubled coupon! I'll use it at Cash Wise with some other items to help my pre-coupon total get to $30 for the FREE item! $1 Reach Floss from the 3/7 and 5/16 RP - Find these for $0.99-$1.02 at Walmart and Target, so FREE or close to it after coupon! $0.50 Wacky Mac from the 5/16 SS - Wacky Mac is around $1.45 at Cash Wise, SunMart and Hornbacher's, so $0.45 after coupon! $0.75 Tic Tac coupon from the 10/3 RP - My guess is that these will be FREE or very cheap at Cash Wise, SunMart and Hornbacher's, where it will double to $1! $0.35 West Pac or Flav R Pac Vegetables from the 9/19 SS - use at Cash Wise this week where West Pac veggies are $1, or $0.30 after coupon! You might also want to check your stash of FREE item coupons. Many of mine expire 12/31. I'll be taking them to Cash Wise to try to get my pre-coupon total to $30 without paying much out of pocket and still get the FREE item! 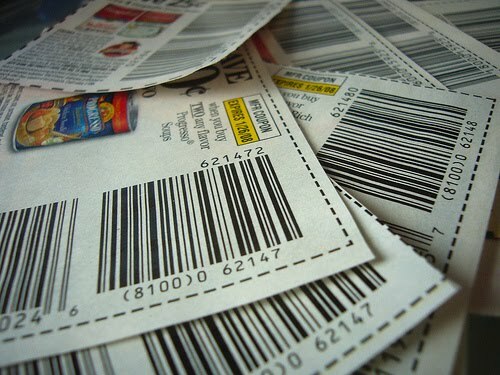 What coupons do you plan to use before the end of the year? HOT Diapers.com Deal on Plum District - Today Only! Today only, over at Plum District, get $40 to use on Pampers at Diapers.com for only $20! This deal is only available today, and is while supplies last, so do not wait if you're interested in this! Plus, when you shop at Diapers.com, check the boxes for e-coupons. Most Pampers products have additional savings of $1.50 per item when you check the e-coupon box on the product page! Diapers.com orders of $49 or more ship FREE! Or add an item from Soap.com (sister site) to get FREE shipping on orders of $25 and up. There's more! Use code FMCHEAP15 if it's your first order at Diapers.com to get an additional 15% off! I believe the Plum District voucher can also be used with a coupon code, but I can't say for sure. Let us know! All these savings can definitely add up to a GREAT deal on diapers. And the best part - delivered right to your door! 20% Cash Back on Gift Cards - Today 12/28 only! eBillme is a service that offers cash back on gift card purchases, and today only 12/28 you can get 20% cash back on gift card purchases for major retailers like Overstock.com, The Home Depot, Foot Locker, Zappos.com, JCPenney, Omaha Steaks, Cabela's and Bass Pro Shops! The 20% cash back is a great way to save extra on large purchases that you're planning to make at these retailers! 20% Cash Back is available today only for new eBillme customers and is good up to $20! When you reach $10 Cash Back in your eBillme account, you can cash out for $10 off any other gift card purchase at eBillme. Or, when you reach $50 you can get a check in the mail! eBillme has a few other offers going right now if you're interested or planning large purchases at Amazon or Dell. Buy a $100 gift card to spend at Dell or Amazon, get a $15 Mail-In rebate! This offer is good for first time eBillme customers only and expires 1/15/11. Cash Wise: $0.70 Pepperidge Farm Holiday Cookies! Right now at Fargo and Moorhead Cash Wise (and likely other locations as well) you can get Pepperidge Farm Cookies for only $1.70 each! 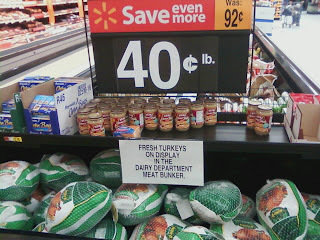 But it gets bettter, because the Holiday Cookie display had $0.75 peelie coupons on ALL the bags, which doubled to $1! That brings each bag of Linzer, Gingerbread, Sugar, Almond, and Chessmen down to only $0.70! There was no end date posted for this price, so get them while you can! Thanks to reader Bo for emailing me this deal! 2 Little Caesar's Hot 'N Ready Pizzas for $5! Use the Buy One Get One FREE coupon here to snag 2 Hot'N Ready Pizzas for only $5! This is only good through tonight, 12/28 so enjoy a cheap dinner! And, in my opinion, the best part about a $5 Little Caesar's Pizza (especially in this season) is the drive through! Please forgive me! I spaced until tonight that there was a new Hornbacher's ad! These deals are only good through Tuesday 12/28! Final price: as low as $3.99! Flavorite Party Peanuts, 12 oz $0.98! As always, look for peelie coupons on the products to sweeten the deal! Roma Frozen Pizza, 13-15 oz FREE with Cash Wise in store coupon and $30 purchase! Plus, use the other coupons in the Keebler Holiday Savings Book to sweeten the deal. For example, if 2 of your crackers are Wheatables, use the $2 off Produce when you buy 2 Wheatables to get $2 worth of produce FREE! Or, if you're buying 2 Townhouse Flatbread Crackers, use the $2 off store brand cheese coupon! Pay $6 for 4 cereals and a gallon of OJ! Final price: $6 for 4 cereals and $4 worth of Meat or Produce! Final price: as low as $1.18 each! Final price: $0.66, only $0.22 each! Final price: $3.65 for all, only $1.22 each! Head over to Groupon Houston tonight and check out the right hand sidebar. 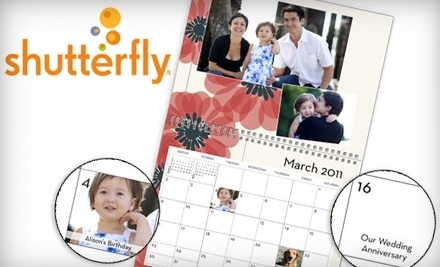 Through tonight only, you can get 2 12 Month calendars from Shutterfly for only $20! You don't have to customize the calendar tonight, you just purchase the code. The code itself expires in February. The Groupon deal ends at Midnight, but I've had trouble with their site starting around 11:30 PM. Hurry if you're interested! This is a great price on a really nice calendar! Don't forget to spend your Holiday Bucks! They expire 1/1/2011! Final price: $0.99 for all 3, only $0.32 each! You can usually beat this price with coupons, but this is a good price if you need yogurt this week. This is the lowest sale + coupon price I've seen in awhile! On a side note, a $1.50/1 Hot Packets catalina coupon printed for me last week at Sunmart, which will make these only $0.50! If you got one, this is a great week to use it! Final price: as low as $0.03! These have been reported now at most SunMart locations! Final price: as low as $0.89 and up! My Best Friend's Closet: After Christmas Sale + Coupon! My Best Friend's Closet in Moorhead is having a post-Christmas sale through Friday 12/31. Everything in-store is an additional 20%-30% off, and I think their prices are really reasonable to begin with! Plus, head over here to print a web coupon for $5 off any $40 purchase! Plus, shop the 50%-70% off room to get more for your money! During the month of your birthday, please bring in an ID and recieve $5 off a $30 purchase. For every $10 you spend you will receive a punch on your Frequent Buyer Card. 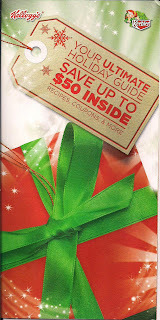 When the card is completely punched, it is worth $10 off a purchase of $30 or more. The more you spend, the more you save! A Natural Noel: Ebook on sale for $3.50! 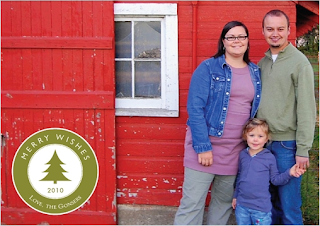 Through tonight, you can download a copy of A Natural Noel for only $3.50 (50% off) when you use code MERRY50. This is a helpful resource for families during the 12 Days of Christmas, which overlaps with the days between Christmas and school starting again. This 33 page book has craft ideas, recipes and activities. The activities incorporate Bible study, art, music, outdoor play, community awareness, and family relationships. This book will be a treasured resource year-round, with its selection of wholesome, natural ideas. Sound like something beneficial to you and your family? Read more and see sample pages over at Frugal Granola. Tweet and get a Amazon $5 Video on Demend Credit! If you're on Twitter, head over here to link your Twitter and Amazon accounts. You'll get a $5 Amazon Video On Demand credit just for doing so! You can use your Amazon Video On Demand credits to rent DVD's and TV Shows to watch right from your computer! Must tweet to receive credit by midnight on 1/1/11. Keebler Holiday Savings Coupon Books! So maybe I'm a little behind on this one, but I just found these coupon books this weekend at Cash Wise in Fargo. They were located in the coupon bin at the front of the store underneath coupon flyers and other papers. (Apparently that's also where tearpad coupons are placed, because there were some full tearpads of coupons just hanging out there as well!) There's a $10 rebate form in the coupon book when you buy 10 participating Keebler products by 12/31/10. It's coming up quickly, but it's a great rebate! Here's the full list of coupons, thanks to Addicted To Saving for the list! Have you seen these available in other stores in our area? Nature's Prime Organics Review and a Groupon Deal! I mentioned before that I'd ordered our Christmas ham from Nature's Prime Organics and promised a review after we prepared it. Well, I have nothing but good things to say about Nature's Prime Organics. To start off, my Whole Ham arrived early, before Christmas even though it was not scheduled for shipment til after Christmas based on when I ordered! Plus, after we roasted the ham yesterday, I'm ready to call back and order again. Our mountains of leftovers will make some stellar sandwiches in the next few weeks! The taste of this ham did not disappoint. If you're curious to try Nature's Prime Organics, you can get a great deal through midnight tonight! Head over to Groupon and register or sign-in. Change the city to Lawrence/Topeka, KS to see the Nature's Prime deal, $35 for $75 worth of food delivered to your door! 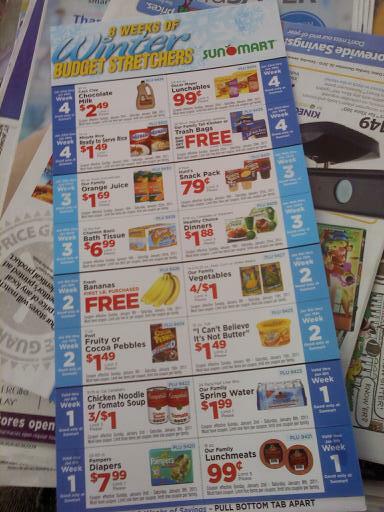 SunMart 8 Weeks of Winter Coupon Sheet! Look what I found nestled in the ads in my Fargo Forum today! 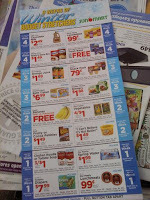 Sunmart 8 Weeks of Winter Coupon Sheets! I love these coupon sheets because they are SunMart coupons and can often be stacked with Manufacturer's coupons for additional savings! 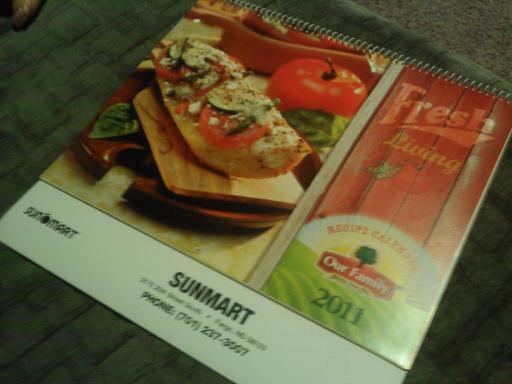 SunMart must be distributing these differently this go round. It seems like these normally come in the mailbox. Just in case you don't normally buy a Fargo paper, it might be worth checking out today. It's possible that SunMart might have them available in-store, but I'd call first to be sure. FREE MP3 credits on Amazon! 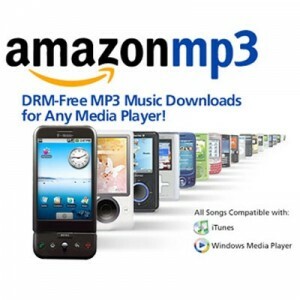 Today only, head over to Amazon MP3 to snag $2 in FREE MP3 credits! Many bestsellers are only $0.99 per song, so you could snag 2 for FREE! This is only valid through tonight 12/26 at midnight! Use code GIVEMP3S then choose your music! While you're there, don't forget all the FREE songs and FREE albums available on Amazon as well! Typically on holiday weekends we don't see any coupon inserts scheduled, but this weekend there is a P&G insert. 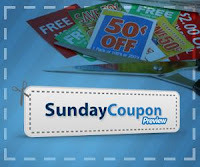 To see what's included, head over to the Sunday Coupon Preview. The Forum, St. Paul Pioneer Press and the Star Tribune should all have this insert today. The Forum and Tribune are $2, but look for the Pioneer Press for only $1! I think it's only sold on the Minnesota side of town. Plus, the P&G insert is one where the values don't typically vary from market to market, so the same insert should be available in any paper! Then, if you're a big time planner (or just curious! ), head over to the Sunday Coupon Preview to find the Coupon Insert Schedule for 2011. Here are the hours for our local grocery stores for the next few days. Just in case you're not quite, ahem, ready for the next few days. I say that with love for all you fellow procrastinators as I make my own grocery list to run out this evening! I don't know how long this price is valid, or whether it's available at other stores. Definitely call ahead if you want to be sure! 3 Cans Green Giant Vegetables FREE with Cash Wise in store coupon and $30 purchase! Buy 10 participating items, use the Cash Wise in store coupon to get an additional $5 off! Final price: $0.18 moneymaker per box! Use this overage to absorb the cost of your other items, or buy 10 brownie mixes with 10 coupons to come out $1.80 ahead on the rest of your order! Final price: as low as $0.25 each! Final price: as low as $0.98 each! A great price, especially for varieties other than semi-sweet! Final price: as low as $0.94! Final price: as low as $1.49 each! Use the $1/2 coupon from the SunMart Holiday Values Coupon Book (if this doesn’t say “Redeemable only at Nash Finch stores”, Cash Wise likely won’t accept it. I can’t remember what the wording was on this coupon. If the Nonstick or Recycled varieties are included, use the $1.25 printable to get a better deal! Ooh, I just got a $10 credit in my Eversave account with a message saying Happy Holidays! If you’re already a member, you might want to check out your account as well! If you’re not already a member, you can still get a $5 credit when you sign up for daily emails! Then, use code FIRSTBUY when you make your first purchase for an additional $5 off! Moorhead Library: FREE Cookie Event Tonight! 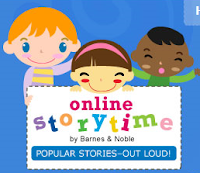 Tonight at 6:30 at the Moorhead Library there will be a Storytime followed by cookie decorating. Frosting and cookies provided. Kids can bring a copy of their favorite cookie recipe and the librarians will make copies to share for the kids to paste into a take home cookie book. The event is free and there is no registration required. How great is that? We love the Moorhead Public Library (we live within walking distance) and attend storytime often. If you have young ones around and are looking for a fun (and FREE!) event tonight, head over to the Moorhead Public Library! You can get a really unique deal over at Groupon today! Head over to Groupon and select Minneaplis to find a one night stay at the Afton House Inn for $104! This package includes 1 night stay in a premium room, champagne and strawberries and a $10 Ski Pass for the Afton Alps! The Afton House Inn is located in Afton MN, just east of Minneapolis. 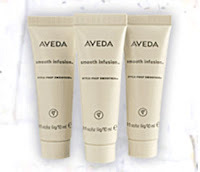 It's a package that normally costs $207, and you must use your voucher by 6/22/2011. Quantities are limited, so act fast if you're interested! For more information on the destination, head over to the Afton House Inn website! 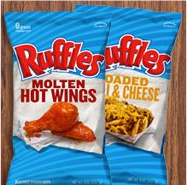 Facebook: FREE $0.99 Bag of Ruffles + More! There are a few great Facebook freebies available this morning! First, head over to the Ruffles Facebook Page to request a coupon by mail for a FREE $0.99 size bag of Ruffles. FREE! Then, visit Stride Gum on Facebook to request a FREE full size pack of Stride Gum for you and a friend! These will come by mail in 6-8 weeks. 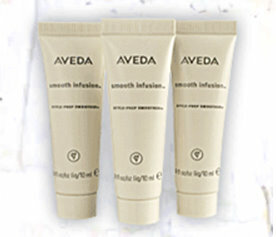 Then, at 9 AM head over to Aveda on Facebook to request a FREE sample of Aveda Smooth Infusion Trio! These will be available for the first 20,000 only! Thanks to Freebies4Mom for all these great tips! Amy S and Nancy J! I've emailed all of you with details. Congratulations and thanks for reading FM Cheapskate! If you're not exhausted of giveaways yet, I definitely am! It's been fun to give away some great items to you all and try to show my appreciation on FM Cheapskate's "1" year birthday! Have you entered FM Cheapskate's last 2 Birthday Giveaways yet? I'll draw and announce the winners tonight, sometime after 9:00! Good luck to you all and as always, thanks for reading FM Cheapskate! Eversave: $5 for Signing up for Email Alerts! If you're new to Eversave, head over to sign up for daily deal emails before 12/31 to get a $5 credit toward your first purchase! This is an awesome offer, basically $5 in FREE money assuming you make a purchase at some point. 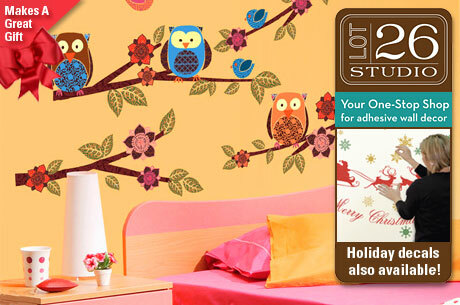 The $5 credit would make today's offer of $40 at Lot 26 Studio Adhesive Wall Decals only $15! I've found several other deals on Eversave that have proven very useful, like a year of All You Magazine for only $7. Head over to Eversave to get your credit now! Buy 2 and use the in-ad SunMart coupons to get Shredded Carrots, Fresh Gourmet Croutons, slicing Cucumber and a pint of Grape Tomatoes FREE! Final price: $5 for all 6 items! Or, if you buy 3 with 2 coupons, you'll still break even after the $1 Catalina! Final price: $4 for all 3, only $1.34/box! I like to pay about $1 or less for regular semi-sweet chips, but for name brand chips, which often come in other flavors and mini chip shapes, $1.50 is a pretty good price! This is at the Moorhead store, but have also been reported by readers at the South Fargo, West Fargo and Fergus Falls stores!